It’s hard for me to imagine that Jesus experienced the agony of the Cross and all that led up to it, just to free me to live as I wish, do my own thing, and then one day go to heaven. Oh ok, throw in showing up on Sunday, singing a few songs, and listen to a sermon. Still seems pretty unbalanced to me. Two thousand years ago the disciples of Jesus, did as had been done by many others before them, (Hebrews 11). They placed their lives in jeopardy to share a message about the power of what happened on that cross and the empty tomb that came three days later. It fact, nothing could shut them up not even the threat of death. Seem a little radical? I don’t think that the early disciples would think so. I don’t think that the underground persecuted church today would think so. 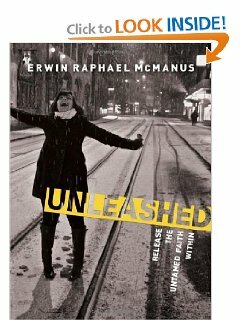 I want to recommend McManus’ book to you. Mass market editions are available for only $6 and it is a quick read, only 144 pages. I said quick read. I didn’t say easy read, because it will challenge you to look again at your purpose. It will challenge you to find the adventure and risk in your walk with Christ. He will challenge you to join the Barbarian Revolution. I did. I hope you will too! Do the Scriptures authorize the use of “instrumental music” in worship? The short answer is, YES!